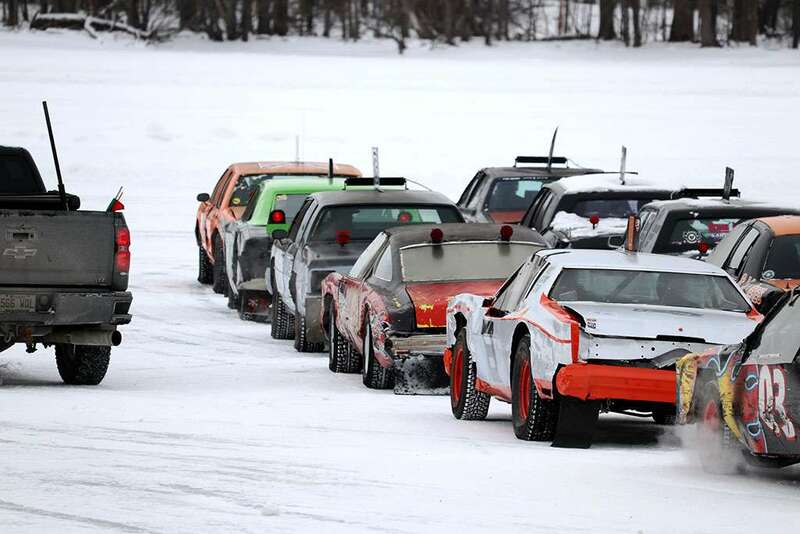 Around 20 cars hurtled and slipped around the track last Saturday, as the Kahnawake Marina Super Series (KMSS) hosted its first round of eight-weekend ice racing. For the first day there were 11 drivers in the rear-wheel-drive (RWD) group and 10 participants in the front-wheel-drive (FWD) group, with three heats per category. 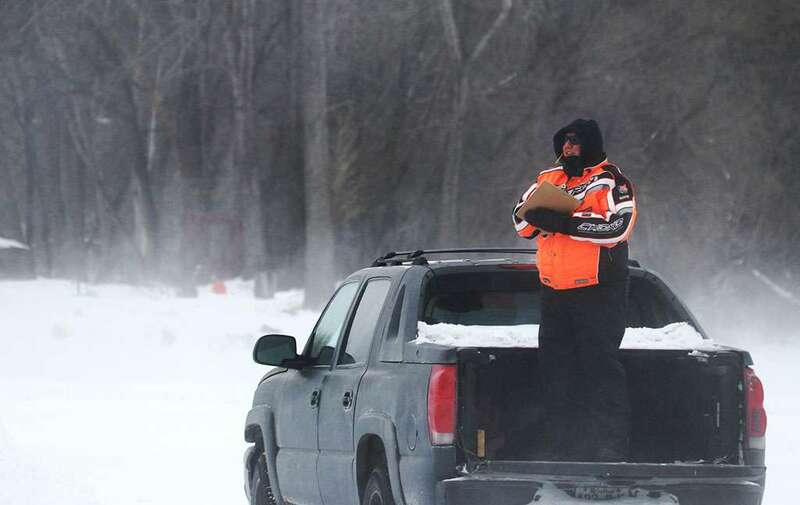 Lindsay Jacobs, one of the organizers, said the weather conditions for ice racing were ideal. “They use drills for ice fishing and drill the hole, and we measure the day before, but this weekend they drilled ice twice. It was at 12 inches and right now it is at 14 inches, we require minimum 12,” she said. Jacobs said also safety requirements are important to follow. “We require racers to have seat belts and helmets on. You are allowed one passenger if you want, but they have to have a seat belt and helmet on. No kids are allowed in the car, nobody is on a back seat. A lot of them we require bars in the door, so if you get hit you are protected, the car has to have a certain standard to be able to race,” she said. Jacobs thinks the most difficult is getting people to volunteer. “Every year we struggle with people who can come out to help us. I have to do registration, I have to do the lineup and I’m the one who goes for laps and everything else. Right now, there are four of us, but we’re looking for more people,” she said. At the end of the day, the winners were declared. Points were given to the drivers on how they finished each heat. Skyler Akwiraies Taylor, car number 94, won all three heats in the FWD division, and took the checkered flag for the day. Derek White, car number 99, won the RWD division, being the first at the finish in heat two and heat three, while in the first heat points were given to Stephane Vallieres, a driver from Chateauguay, car number 46. 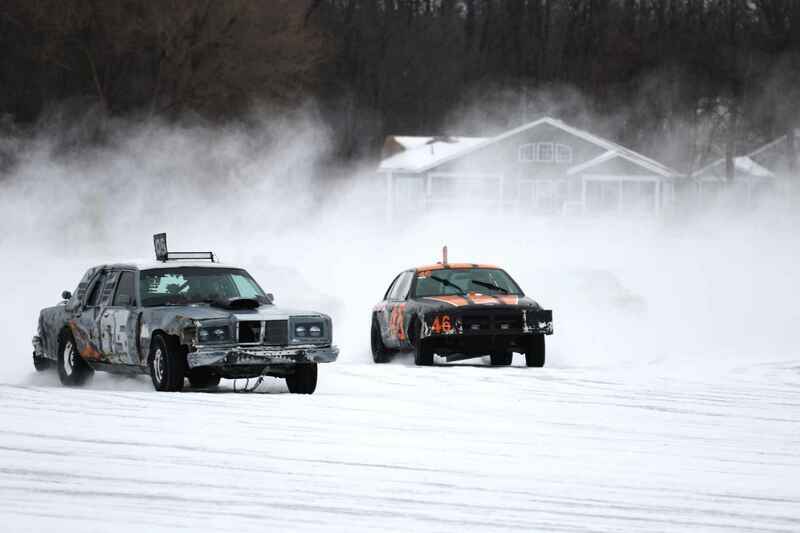 White said ice racing is all about the adrenaline. “I’ve been doing racing for 30 years, since I was 15 years old. I love it,” he said. 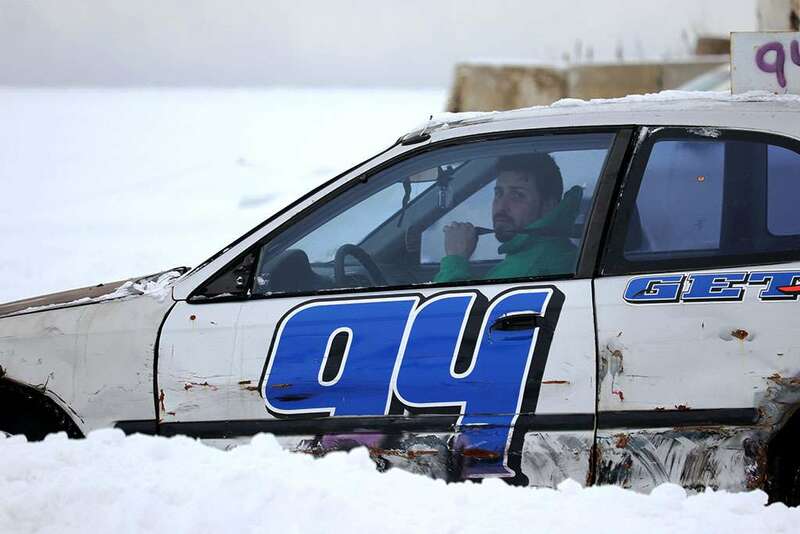 Taylor, an FWD class winner, has won the championship three years in a row and is racing for a fourth one, in only his fifth year in ice racing. “I do it because it’s so much fun. My father got me into it. He passed away two years ago, so I’m carrying on a tradition,” he said. Taylor chose FWD category because it was a new class then, he said. “I think it’s more competitive and faster than the RWD,” he said.